Description A high quality early season variety introduced by the University of Minnesota. 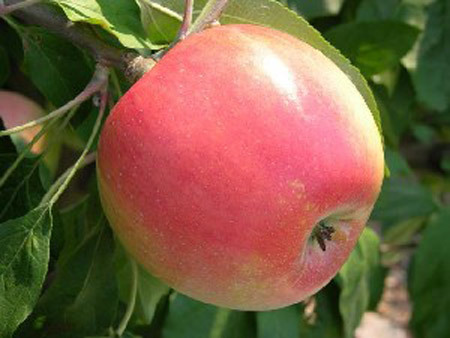 The fruit is crisp and juicy, has excellent dessert quality and will keep in common storage for six to eight weeks. The tree is non-vigorous, spreading and crops annually. Pollination Information Zestar! blooms in mid-season and will pollinate all other early blooming apple varieties, varieties blooming in the middle of the season, and also varieties blooming late in the season.